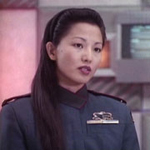 Tamlyn is a Japanese-born American actress who has appeared in many Hollywood films and television series. Tamlyn was born in Okinawa to Shiro and Asako Tomita. She is of one quarter-Filipino descent (her mother is half Filipina, half Japanese). Before becoming an actress, she won the title of Queen at the Nisei Week Pageant in Los Angeles in 1984, and Miss Nikkei International in 1985. In 1986, Tomita made her acting debut in The Karate Kid, Part II, playing the love interest to Ralph Macchio. 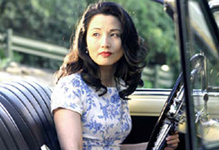 On the film she met Nobu McCarthy, herself a former beauty queen. McCarthy became a role model, mentor and close friend to Tomita, making it especially difficult when in 2002 McCarthy passed away unexpectedly while on location in Brazil with Tomita, filming Gaijin 2 - Ama-me como sou.